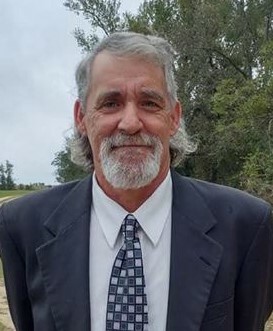 Taylor Funeral Home of Gibson announces the death and funeral services of Mr. Bryan Richard Bopp, 52, of Hwy 102 East, Gibson, who died Thursday evening August 16, 2018. Funeral services will be held 2:00 PM Monday August 20, 2018 in the Gibson Church of God with Rev. Richard Kitchens and Rev. David Kitchens officiating. Burial will follow in the Gibson Church of God cemetery. Pallbearers will be: Austin Shelton, Tanner Smith, Tyler Smith, Josh Starr, Hunter Gray, Adam Harper, Alex Watkins and Freddie Carney. Bryan was a lifelong resident of Glascock County and a 1984 graduate of Glascock County High School. He was a truck driver for Gray Farms and had served more than 20 years in law enforcement, serving as Glascock County Sheriff for 6 years. Mr. Bopp was preceded in death by his parents, Richard M. and Moira McKinlay Bopp and is survived by: sons; Richard Bopp, Andrew and Jessica Bopp and William Bopp all of Gibson, birth mother and step father, Brenda & Freddie Manning of Augusta, fiancé Susan Sheppard, sisters; Mitzi & Howard Palmer, Joyce & Nelson Campbell, Angela Hatcher, Amy & John Bush, Marie & Daryl Strickland, Beverly Ogden, brother; Bruce Manning, grandson, Jack Bopp, several nieces nephews, cousins and many friends. The family may be contacted at the home of Andrew and Jessica Bopp 6200 Shelton Road in Gibson. The Bopp Family will receive friends 6:00 to 8:00 PM Sunday August 19 at the funeral home. Due to Bryan’s untimely death the family requests in lieu of flowers please make contributions directly to Taylor Funeral Home.